We raise many different varieties of apples, and do our best to keep up with the availability on the chart below. Please keep in mind that some varieties are in very limited supply, and we are at the mercy of Mother Nature. If you are making a special trip based on this chart, give us a call to confirm that your favorite apple hasn’t recently just sold out! 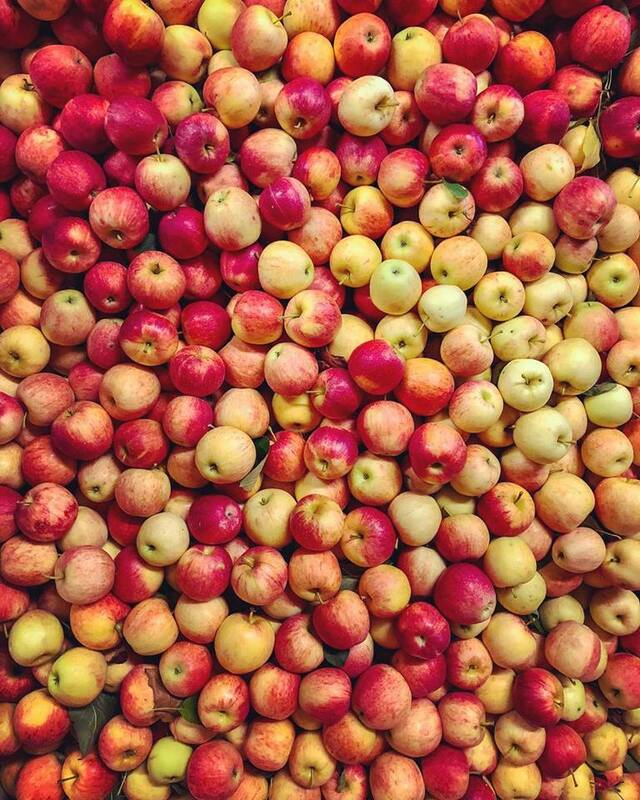 Please note: these apples are available for sale and may not be the variety for pick-your-own. Apple picking is only open on the weekends 11-5 through the end of October. TasteMore sweet than tart. Extra crisp. Suggested UseGreat for eating fresh, in salads and for making sauces. TasteVery sweet. Firm, crisp, and juicy. Suggested UseWonderful for eating fresh, putting in salads, baking pies, making sauces, and baking whole. TasteSweet with crisp yellow flesh. Suggested UseGreat for eating fresh and for salads. Suggested UseGreat for eating and for salads. Suggested UseGreat all purpose apple for eating and salads. TasteSweet and mellow. Crisp and juicy. Suggested UseGood for eating fresh, putting in salads, making pies and sauces, and for baking. TasteVery sweet, crisp and juicy. Tastes like apple cider! Suggested UseExcellent for eating fresh, on salads and for sauce. Suggested UseGreat all purpose apple for eating, salads, pies, sauces, and baked. Suggested UseGreat for eating, sauces. TasteBlend of tart Jonathan and sweet Golden Delicious. Suggested UseWonderful for eating fresh, they hold up nicely in pies and as a baked apple. Suggested UseGreat for eating fresh and they cook down nicely for making sauces. TasteSlightly tart, crisp, and juicy. Suggested UseGreat for eating, pies, and baking. TasteSlightly tart. Crisp and very juicy. TasteSweet and slightly tart. Very firm, crisp, and juicy. Suggested UseGreat for eating fresh, baking pies and baked apples. TasteVery tender, crisp, juicy, and tart. Suggested UseAll purpose apple except for drying. TasteFragrant and tart. “Summer’s Granny Smith”. Suggested UseGood for pies, sauces and baked. Suggested UseGood for eating fresh and for putting in salads. TasteSlightly tart. Firm, crisp, and juicy. Suggested UseGreat for sauces, pies, and baked apples. TasteMore sweet than tart, very crisp, firm and juicy. TasteSweet and slightly tart. Firm and juicy. Variety Taste Suggested Use Harvest Available Now?